Giles Brandreth ahead of his Fringe musical. Scotsman Festival supplement. 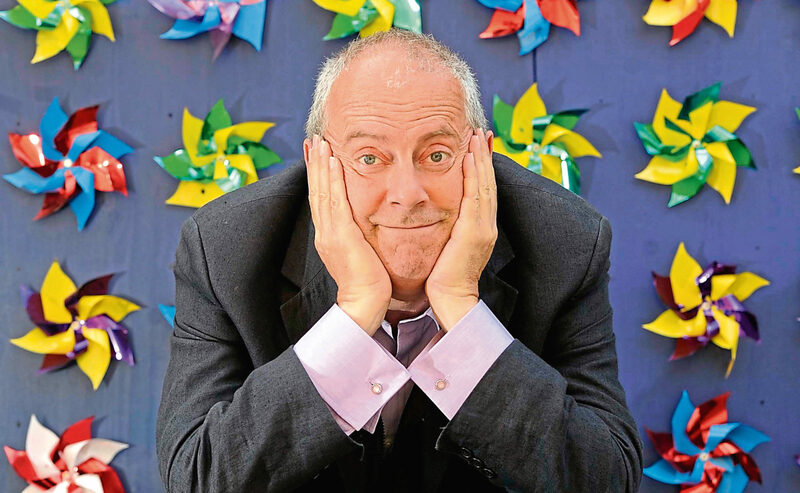 THERE can’t be many former Conservative MPs who have decided to escape to Scotland after losing their seat, but Gyles Brandreth did – and he says it was a life-changer. The prolific author, actor and broadcaster found himself at a crossroads after being voted out as member for Chester in 1997. His passion for musicals was to be his unlikely next step and it took him to the Edinburgh Fringe, beginning a love affair that continues to this day. “I was an MP until the people spoke, and when I lost my seat I wasn’t sure what to do next,” recalled Gyles. “My wife, Michele, said I should do whatever I wanted to do. “I told her I wanted to be in a musical and she said, ‘Oh dear’. “I ended up doing a show called 100 Musicals In 100 Minutes and someone said I should take it to the Fringe. “I had never been before and that first year, in 2000, completely changed my life. “The audiences were lovely, I met people of all ages and the other shows were great. We won a Most Popular Show award. The 70-year-old’s first foray into the world’s largest arts festival almost ended in ignominy, however, when he shocked an elderly local. “As part of the show I did a dance routine from The Rocky Horror Show, which meant wearing stockings and suspenders. “Backstage at the Fringe is not deep luxury and you have to share a dressing room with several other shows, so I started to get into my costume at my flat in the Old Town beforehand,” explained Gyles. This year’s show, the public will be relieved to hear, does not require Gyles to wear lingerie. Called Break A Leg!, it’s a celebration of all things theatrical and recounts many of Gyles’ encounters with the great and the good of the theatre world across the decades, from Laurence Olivier to Dame Judi Dench to Johnny Depp. The show also boasts a unique selling point – the world premiere of a previously unheard skit from Ronnie Barker. “When I left university, I became artistic director of Oxford Theatre Festival,” Gyles added. “Ronnie had been in Oxford Rep in the ’50s, so I invited him to perform at a charity night. “We were chatting afterwards and the conversation turned to playwright George R. Sims, my cousin and the writer of the famous poem, Christmas Day In The Workhouse. “Ronnie told me he had written a parody of it but couldn’t get it on TV. He asked if I would like to have it, which I did, and then I promptly forgot about it. “When it came to this new show, I wanted to do a tribute to the Two Ronnies, because Ronnie Corbett was one of the most loyal attendees of my shows. He used to come with his wife, Anne. Despite his political past, grandfather-of-seven Gyles promises there will be little mention of the subject in Break A Leg! “I do touch on politics as Trump makes a brief appearance, but this is a Brexit-free zone and that’s a guarantee,” Gyles said. He added: “When I was growing up, my mother wanted me to be an actor but I wanted to be Prime Minister – and some people probably wish I was. If I were in charge, I would sort it all out. “In the lead-up to the election she put our home in the constituency up for sale, which probably wasn’t a good sign.